FSU Fulbright Scholars have been in the news lately. Do those news stories make you wonder why your colleagues want to be a Fulbright Scholar? Are you unsure about the opportunities a Fulbright fellowship brings? Well, if all the cheering around FSU’s designation as a Top Producer of Faculty Fulbrights has got you thinking that you need to learn more about Fulbright, you are in the right place. The Fulbright Program is a United States Cultural Exchange Program that was founded in 1946 by then- Senator J. William Fulbright of Arkansas. The goal of this program is to improve intercultural relations, cultural diplomacy and intercultural competence between the people of United States and other countries through the exchange of persons, knowledge and skills. Basically, the program works in two ways: U.S. citizens may receive funding to go to a foreign country (U.S. Student Program, U.S. Scholar Program, Teacher Exchange Program, etc.) and non-U.S. citizens may come to the U.S. (Foreign Student Program, Visiting Scholar Program, Teacher Exchange Program, etc.). The Fulbright Scholar Program provides American college and university faculty and administrators as well as professionals, artists, journalists, scientists, lawyers, and independent scholars the opportunity to teach and conduct research in over 125 countries. Scholars benefit from this program in many ways. One of them is the enhanced appreciation of the global impact of their academic specializations as well as a reinvigorated classroom presence. This program not only influences and benefits the participant, but it also creates a “multiplier effect” by infusing cross-cultural perspectives into curricula, revitalizing teaching methods and opening doors for international colleagues and students. Just imagine how big of an impact this program could have over each one of us, our students and the university as a whole. The world is a huge place, full of opportunities, learning, experiences, and growth. So, why not explore it while doing what you love? Fulbright offers you a life-changing opportunity of growing inside your field of expertise, getting to know fellow scholars from different parts of the world while also exploring different cultures and places. The program opens the door for a more inclusive and diverse environment at Florida State. 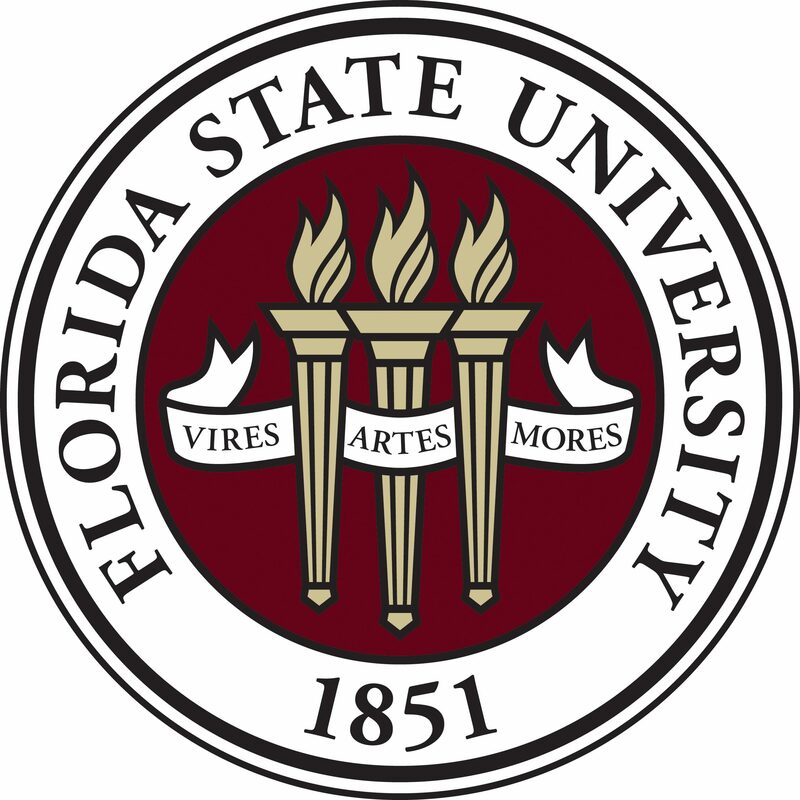 With more nearly 470 Faculty Scholar grants in over 125 countries provided annually, there is a place for you to be a Fulbright scholar and represent Florida State University just like our nine faculty scholars who were awarded Fulbright grants for 2018-2019. These nine faculty scholars not only got to teach and conduct research in the United Kingdom, Ireland, Poland, Malawi, France, Italy, Canada, Denmark and Israel. They also led FSU to be named one of the nation’s top research institutions for producing Fulbright U.S. Scholars by the U.S. State Department as we ranked #2 in the nation. Go Noles! If you are thinking of applying but don’t really know how or where to start, we’ve got your back! Keep an eye on our social media to see and register for our next Fulbright Scholar Application workshop. Or, contact Peggy Wright-Cleveland: mwrightc@fsu.edu. We hope you will become one of our future Fulbright scholars! The majority of research published on note-taking has been executed before the substantial rise of electronics in the classroom, from children in kindergarten to adults in graduate classes. While the research may be explicit- the usage of laptops negatively impacts a student’s ability to learn and perform – it is becoming increasingly difficult to separate students from their electronics. After all, the way in which a student learns material is their own business, and the outcome of their learning habits is their business, as well. But, not only do laptops affect the student using them; it affects their neighbors, too. If a student is researching cruise lines for a Spring Break trip in the middle of a mathematics lecture, the students sitting to the left and right of him may be thinking about Spring Break too, and not the subject being taught. As a junior undergraduate student here at Florida State University, I decided to conduct a little experiment of my own to see if my attention to a lecture would be bolstered if I were to take notes on pen and paper, instead of using my laptop as I do normally. When I first sat down in class, instead of pulling out my computer, I poured pens and a notebook onto my desk, much unlike the rest of my peers. While the screens glaring out featured as many typed notes as colorful Pinterest and Facebook feeds, I tried to focus on the professor’s lecture to keep up with my writing. By the end of the two hour class, I had participated more than ever before, held a stronger focus on the material, and noticed even more-so how so many of my classmates’ attentions were split between the lecture and social media. Measuring the impact that laptops have on grade breakdown is difficult, as students who tend to score lower, regardless of electronic usage, may be more inclined to whip out their laptops in class. Another issue in this debate is the responsibility of the professor to their students; if the professor provides the information in a clear and concise manner, then they have fulfilled their end of the student-teacher relationship. However the student chooses to digest that content is the student’s business, and some believe, not the responsibility of the teacher. But, in all universities, professors want their students to succeed, and it seems as though the use of electronics in class may be a barrier to that success. If laptops are banned, will it inhibit my student’s ability to participate in class? Do I feel as though my student’s focus has been suffering in the past few years? Do I walk around the room during a lecture, and notice that computer screens are turned to non-academic pursuits? Do I assign in-class assignments that utilize electronics? Do my students actively participate in class, or are their eyes glued to computer screens? Do I share my presentations online, or are they in-class only? If they are in-class only, do I give my students ample time to write notes by hand? Is the use of computers related to my subject matter? Does the sound of dozens of students typing give me a headache? If you’re anything like me, you rarely walk by the Fine Arts building. Nestled in the northeast corner of campus, it’s home to FSU’s Museum of Fine Arts, the Richard G. Fallon theater, and Dr. Elizabeth Osborne’s office. Walking into her office, you’re immediately greeted by the sound of trickling water from a small fountain behind Dr. Osborne’s desk. The homey feel of her office is matched by her bubbly, welcoming personality. As we sat down to talk about her journey to professorship, her face lit up as she recalled her first experience with the theater. And how does she combine this love of theater with history for her research? “Well, I love history and I’m always excited to think about how our past continues to influence us today. August Wilson is a playwright of African American theater and one of the themes in his work is that you have to know your past to move into the future. That’s one of the ways that I think about history—that you have to understand who you are and where you come from to understand where you’re going. For me, that’s why history—and theatre history—is so important. It tells us on a very visceral level who we are and where we’re going, as individuals and as a society. Instantly, my mind went to Hamilton. The hip-hop musical written by Lin-Manuel Miranda about the life of American Founding Father Alexander Hamilton was inspired by the 2004 biography Alexander Hamilton by historian Ron Chernow. It’s been a national phenomenon, with astounding success on and Off-Broadway. “Hamilton is an amazing show—a phenomenon! I was lucky enough to see it on Broadway and it’s absolutely thrilling in performance. Lin-Manuel Miranda describes Hamilton as “America then told by America now.” It’s famous for its cross-racial casting, rap and hip-hop score, and focus on Alexander Hamilton as a poor immigrant who works his way up to one of the highest and most respected offices in the country through hard work and smarts. It’s the American Dream, only it’s made possible for anyone. But the show is also tricky in what it shows, and the history it shows isn’t entirely accurate in some ways that are pretty important. For example, while Hamilton is doing a lot of important work in terms of bringing people of color to the stage in major roles, historically they weren’t “in the room where it happened” as founding fathers. People of color were all over the colonies during the Revolutionary Era, but they weren’t given access to the spaces where the Declaration of Independence was written or positions of power that would enable them to play these roles, and this is history that the nation needs to reckon with rather than forget. It makes me wonder if simply casting people of color as founding fathers is enough. Why not create a show about the lives of people of color during the Revolutionary Era? We stuck with Hamilton as we talked about the real-world examples of her work. I was particularly curious if the incident with Mike Pence in November of 2016 was an example of how historical performances can show us more about our nation now than the actual history being performed. And as for her journey to FSU? That introduction to theater for non-majors class she’s talking about now caters to 800 students a year, and Dr. Osborne’s hard work in taking the class online is mostly to thank for that. “I started my graduate degrees with an MFA in Dramaturgy, which is the literary side of theater practice. Dramaturgs engage in theater outreach, season planning, and figuring out how to help audience members connect with the shows that they see. Since one of the things that I love to do is help “non-theater” people connect with theater, teaching the theater for non-majors course was a natural fit. I’ve been teaching that course now for twelve years and have taught more than 10,000 students. The class has had three iterations while I’ve been here. When I first came to FSU it was fully in person, and that was really interesting. I taught three classes, each in sections of 180 students. I would lecture to them eight times a week and I had close to 600 students a semester. And Dr. Osborne’s favorite part of being faculty here at FSU? If you’ve been walking around campus a lot lately, you’ve probably noticed the #ResilientNole stickers, buttons, and tee-shirts that students and faculty are sporting. The Student Resilience Project was created by the Institute for Family Violence Studies at the FSU College of Social Work with a campus-wide team to help inform students about the effects of trauma, strengthen student coping and stress management skills, and increase students’ sense of belonging at FSU. The site has proven to be very popular both on campus and around the United States, with over 12,000 people from all 50 states visiting the site since the fall. The director of the Institute for Family Violence Studies, Karen Oehme, sat down with me ahead of her Faculty Luncheon Series to talk about the project. “The Student Resilience Project isn’t just an online website; the whole idea is that it’s a campus campaign. The first dose was called What I Wish I Knew: that’s the peer-to-peer student videos. We released those videos in the summer to make sure that the new freshman would encounter them before or just as they got to FSU. The videos represent the most common problems that people talk about – things that get them frustrated or upset. We wanted to put those out there and say “you’re not alone, other people have experienced this, and FSU has great resources for you.” She added, “The stories are called restorative narratives, and the idea is as old as Greek mythology – learning through stories. We want students to see other students who have struggled and then triumphed. And not just that: we give students action steps that they can take. So we’re using a restorative narrative and we find it really compelling that students are so receptive to those narratives. Then we have student ambassadors who help promote the Project around campus — they keep the conversation going. The Institute of Family Violence has done a lot of research about the implementation of the website as well as the information they’ve put into it. Ms. Oehme largely credits the success of the project to the students and faculty that have participated in the development of the project and those who have embraced the project with open arms. “The idea really is that we wanted something for everybody. FSU faculty and staff really care about students and the student-centric design, and you’ll see it in the implementation and dissemination of this project. We also wanted to make sure that our LBGTQ+ students felt at home here too, and that our students of color are acknowledged and supported. We need to be honest with people and acknowledge their strengths and their values and then at that point, I think they’re more willing to listen. The feedback that we’ve gotten from our Student Ambassadors, the peer to peer contact, has been the best components of the campaign. And as for the future of the program, and how Ms. Oehme and the Institute of Family Violence envision its growth? The last part of our discussion focused on the implementation of the project website, particularly after the several events over the Fall 2018 semester that affected the student population negatively. For example, the mass shooting at a Synagogue in Pittsburg, Hurricane Michael, and the Tallahassee shooting that resulted in the loss of Nancy Van Vassem and Maura Binkley. “That’s a very good question. Our team struggled too. But we knew that students needed information. So we put up information and advice for after a mass shooting and after a hurricane on the site within 24 hours of each event. We wanted students to have a way to talk about these issues because we need each other, and we need to know that others are struggling too. We need a common language of grief and coping. We certainly didn’t anticipate that it was going to be such a rough semester, but we were very grateful to have the Project to offer students. We know that one of the worst things to do when you’re in a crisis is to isolate yourself. I was very impressed with the support that the administration provided. Our President and Provost, and Vice Presidents and Deans are amazing, dedicated people. The Student Resilience Project would not exist without them. The time of year has come when Florida State University students travel home to spend time with their families, giving thanks for the opportunities that they are granted. The Florida State community has much to be thankful for this year: the safety of our Panama City Campus students and faculty; our recent jump in the College News Rankings to 26th best public university in the country; welcoming a brand new Football coach; the outstanding commitment to research and pedagogical excellence that Florida State faculty have exhibited during these past few months. Here are a few of the many faculty members that the FSU community is thankful for. Okwui Okpokwasili, a two-time choreographic fellow of Florida State University’s Maggie Allesee National Center for Choreography (MANCC), was named a recipient of the 2018 MacArthur Foundation Fellowship, for her innovation in performance pieces highlighting the stories of African and African-American women. Born and raised in the Bronx, Okpokwasili’s highly experimental art is celebrated throughout the country. Thank you for sharing your expertise with our students during your fellowships at FSU. Michael Holmes, FSU’s Jim Moran Associate Professor of Strategic Management, and Gang Wang, Assistant Professor of Management, conducted widely-celebrated research about the disadvantages that women face in the world of business. The findings were published in the journal Organizational Behavior and Human Decision Processes. Dr. Wang and Dr. Holmes outline the issues that women battle in the workplace, and note that only 5.4 percent of Fortune 500 companies had female CEOs in 2017. Thank you for shining a light on the inequities that we face daily. Heather Flynn, FSU College of Medicine professor and Vice Chair for Research, along with the FSU College of Medicine, partnered with the Florida Department of Health to receive a $3.25 million dollar grant from the Health Resources and Services Administration to improve care for pregnant women battling depression and other pregnancy-related effects. Dr. Flynn focuses on developing sustainable screening and treatment models to protect maternal health. Thank you for your unwavering persistence in protecting women from hidden illnesses. Tarek Abichou, professor of civil and environmental engineering at the FAMU-FSU College of Engineering, dedicated his summer break to Tunisia-AID, a not-for-profit aiding an elementary school library in a small town in Southern Tunisia. Dr. Abichou’s dedication to education is expressed through his community service work in regions where children may have fewer opportunities for educational resources. Thank you for your commitment to aiding those in need. Robert Spencer, an associate professor in EOAS, directed a study with a team of scientists from FSU’s Department of Earth, Ocean and Atmospheric Science (EOAS) about why Wakulla Springs water is turning brown and the effect this change has on the surrounding community. The paper was published in the Journal of Geophysical Research: Biogeosciences, along with the help of Former FSU postdoctoral researcher Francois Guillemette and current FSU postdoctoral researcher Anne Kellerman. The research was funded by the National Science Foundation and the Fish and Wildlife Foundation of Florida. Thank you for your dedication to saving our natural resources. We are thankful for the hard work, thoughtful questioning, and outstanding creativity that informs FSU faculty teaching and research. As leaders on and off campus, we appreciate your mentorship, and sharing your life’s work with us. The Office of Faculty Development and Advancement wishes everyone a safe and happy Thanksgiving! The College of Criminology’s modern interior comes as a surprise to visitors; the building in which it resides, Eppes Hall, is an original landmark to Florida State’s campus. Climbing the stairs to Dr. Daniel P. Mears’ office was a workout in itself, but the group of offices at the top of the landing has a welcoming and scholarly ambiance, much like Dr. Mears himself. His spacious office is well organized, and the professor checks a large book of his appointments as we sit down for the interview. Dr. Mears, who hails from the East Coast, received his Bachelor’s from Haverford College, and went on to attain a Master’s and Ph.D. in Sociology from the University of Texas at Austin. Recently named a 2018 Fellow of the American Society of Criminology (ASC), Dr. Mears takes a look back at what drew him to the study of criminology and Florida State’s nationally acclaimed College of Criminology and Criminal Justice. When asked about his decision to become a faculty member at FSU, he noted his peers and Dean of the College. Florida State University’s College of Criminology is recognized as one of the best in the nation. The College is comprised of acclaimed professors from around the country. To read more about their research, please click here. Dr. Mears recalls that his undergraduate journey was similar to those who struggle to find their path as young adults. On November 14th in Atlanta, Georgia, Dr. Mears will be honored as a 2018 Fellow of the American Society of Criminology (ASC). The ASC, an organization that includes researchers whose contributions to the scholarly and scientific study of criminology merit international recognition, is honoring Dr. Mears for his work in policy research and the study of criminal systems. I asked him about why he believes he was honored. Dr. Mears maintains that his favorite part about teaching here at Florida State University is his interaction with colleagues and the students. He teaches courses on criminological and criminal justice theory, juvenile justice, reentry, and corrections. Dr. Daniel Mears is the Mark C. Stafford Professor of Criminology at Florida State University. To learn more about his work, please click here.